Students and a doctoral candidate at ETH Zurich have developed a camping stove with the flame on the inside, greatly reducing the negative effects of wind and heat loss. 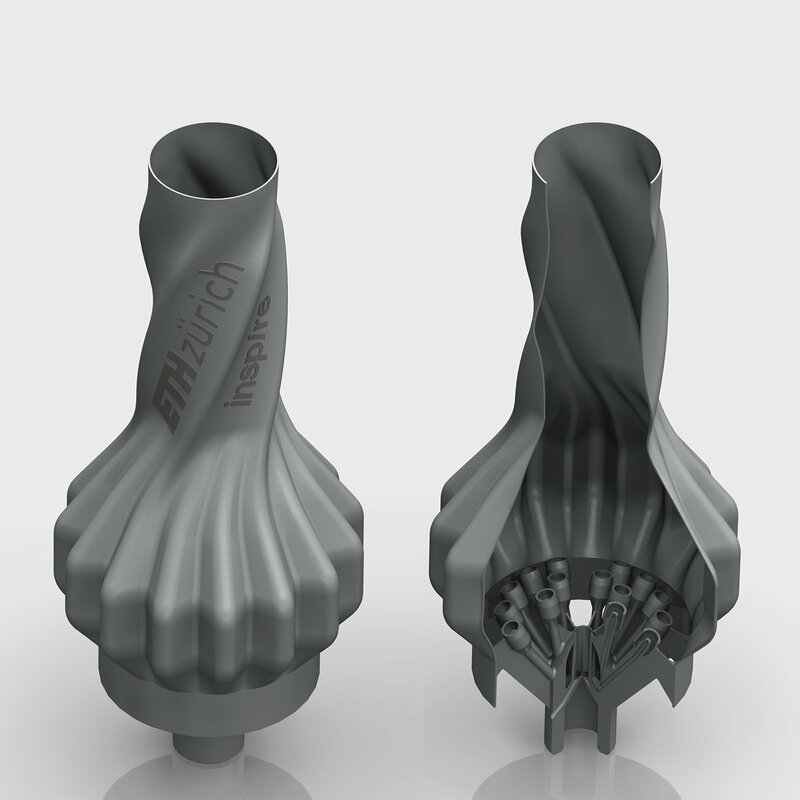 The new design was made possible by additive manufacturing. Summertime is camping time – a perfect opportunity to give up our everyday luxuries for a while and instead cook a simple dinner on a gas camping stove. If only the gusts of wind would go away instead of constantly blowing out the flame on the stove. 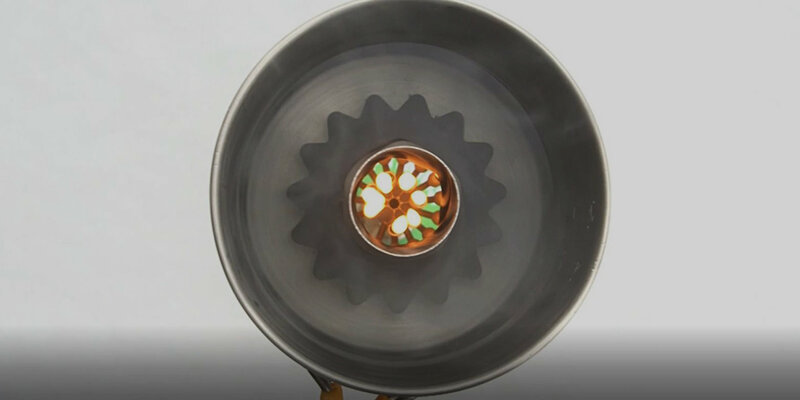 Now an ETH doctoral candidate and students from the ETH Zurich Design and Technology Lab and from the Zurich University of the Arts (ZHdK) have developed a novel stove that can cope even in strong winds: a kettle shaped like a Bundt cake tin encloses a gas burner, protecting it from the wind. The interior of the burner is also packed with engineering expertise: the gas nozzles are what are known as Venturi nozzles. “Their geometry causes a localised drop in pressure. This increases airflow, which improves the quality of the flame and boosts efficiency,” says Ferchow. The researchers built a prototype of the kettle together with “inspire”, the organisation at the interface of ETH Zurich and the Swiss mechanical industry. They call their kettle “PeakBoil”. Appropriately, they tested the prototype this spring while on a ski tour of Säntis, the highest mountain in the Alpstein massif in northeastern Switzerland. “It was windy and it was lots of trouble to get a conventional stove to work. But we had no difficulty heating water with our prototype,” Ferchow says. 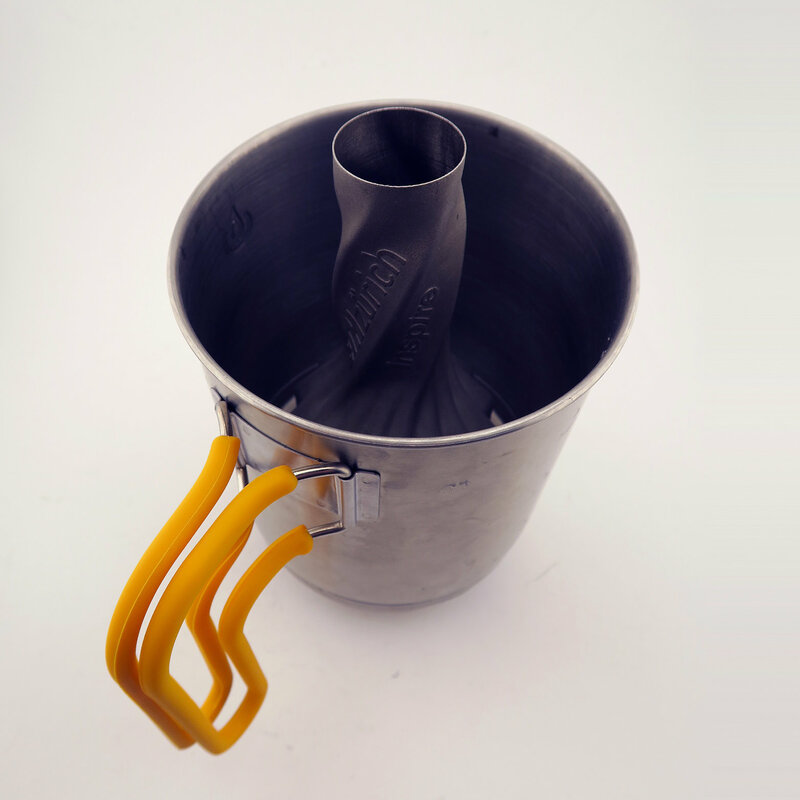 PeakBoil’s special design wouldn’t be possible without additive manufacturing. Ferchow and his colleagues built the gas kettle layer by layer out of stainless steel using selective laser melting. In this technique, a layer of fine metal powder is spread onto a substrate plate. A computer-controlled laser beam then selectively melts the metal in a precise pattern. When the molten metal solidifies, it binds to the substrate plate. Then the next layer of powder is applied and locally melted. In this way, complex objects are built up from the base in layers each just one-thirtieth of a millimetre thick. “This technique gives us a huge amount of design freedom, which you just don’t get with conventional manufacturing techniques; with metal casting, for instance, we could never achieve channels that are as thin as the ones inside our gas burner,” Ferchow explains. Selective laser melting was originally developed as a fast way to manufacture prototypes. “Nowadays, this rapid prototyping technique is so mature that it can also be used for large-scale manufacturing,” Ferchow says. PeakBoil recently won a prize in the 3-D Pioneers Challenge competition. An international jury of design experts and engineers honoured the kettle in the competition’s Design category. According to its organisers, this competition, which is sponsored by the Ministry for Economic Affairs, Science and Digital Society of the German state of Thuringia, is one of the most generously endowed awards in the field of 3-D printing innovation. 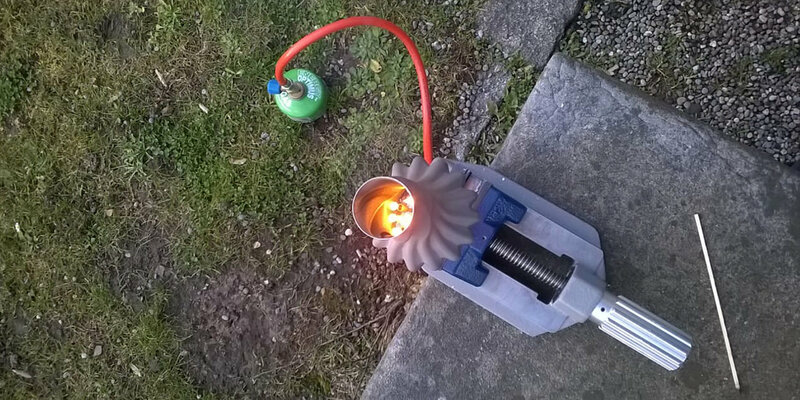 “The jury admired our idea for a resource-saving burner with a particular view to how the outdoor application we realised could serve as an example for industrial applications of additive manufacturing, which holds great potential,” Ferchow says: “We can use PeakBoil as a demonstrator to show companies just what additive manufacturing is capable of and what you need to pay special attention to in your design.” With further development, PeakBoil’s design could be used in gas-fired tankless water heaters or even gas turbines. But first, Ferchow and his colleagues want to stick with their gas kettle and improve it in the Design and Technology lab, which is what they will spend their prize money on. “I think we should be able to further increase the efficiency of the burner by optimising the flows of gas and air. We also hope to find industry partners who will work with us to further develop the product,” Ferchow says.